I love to personalize my possessions and make them as feminine as possible. When I’m surrounded by feminine dainty things it makes me feel good. When I was younger, I was the one with the blinged out key chains and would keep a new lanyard creation dangling from my key ring. 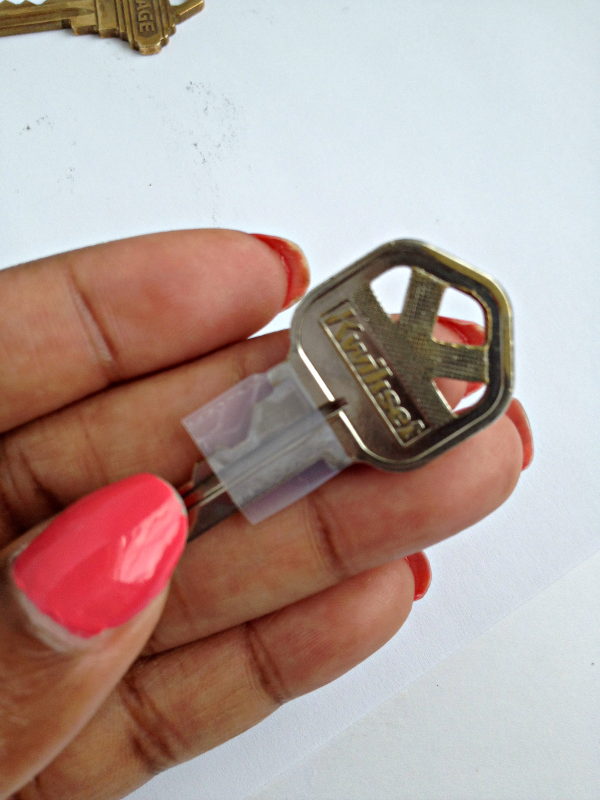 I want to jazz my key ring up just like the old days and I knew just the way to do it. 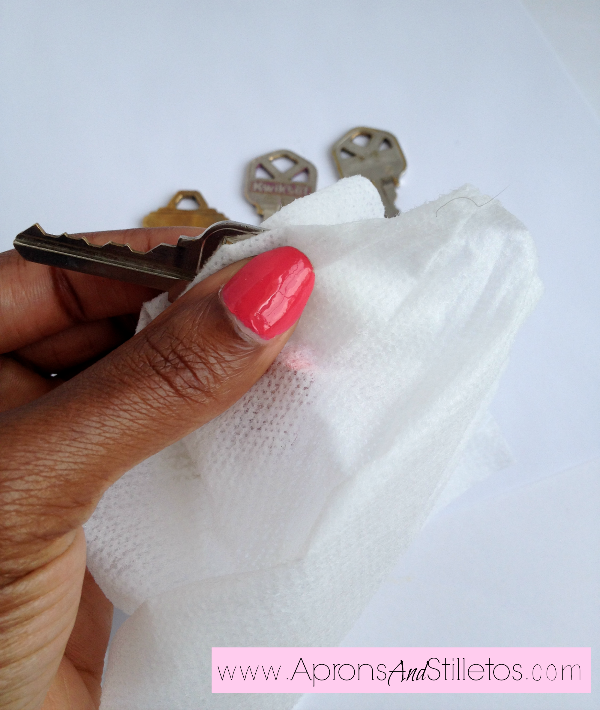 Start by cleaning your keys. 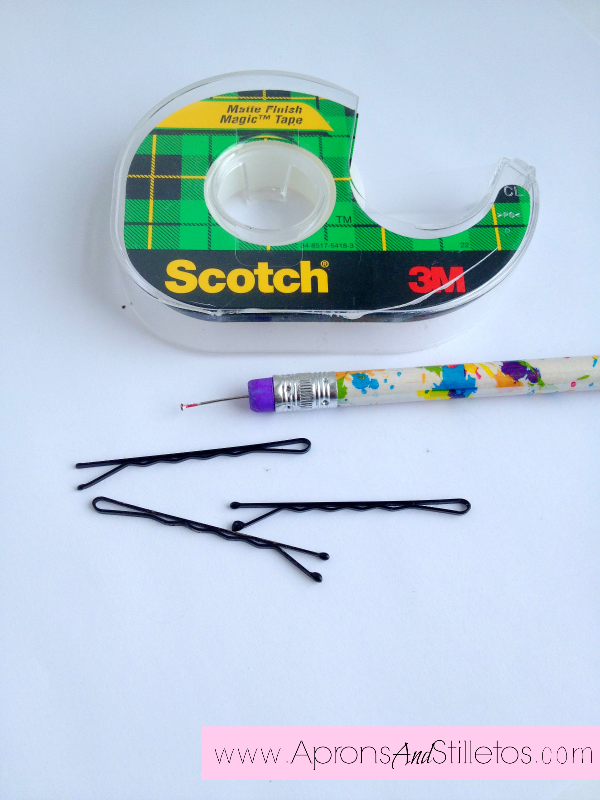 Next, you’ll want to bend your bob pins to create a ‘v’ shape. 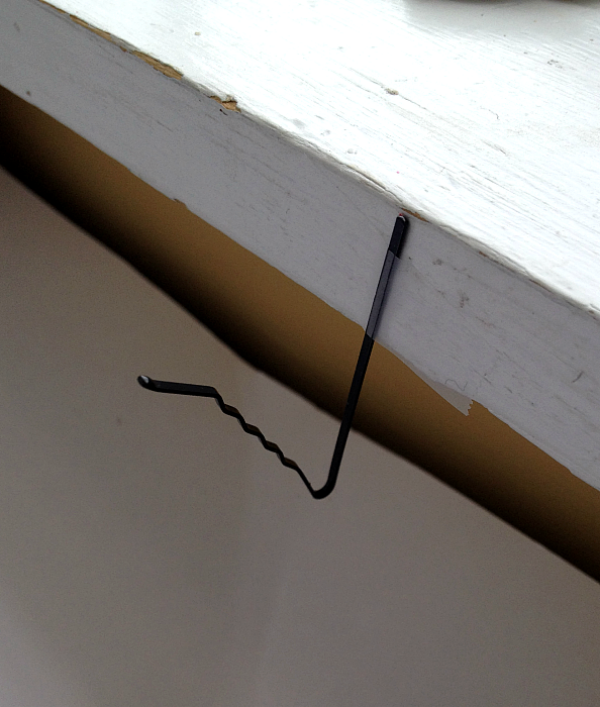 Then tape them to a widow or table ledge. This will be where you hang your keys while they dry. 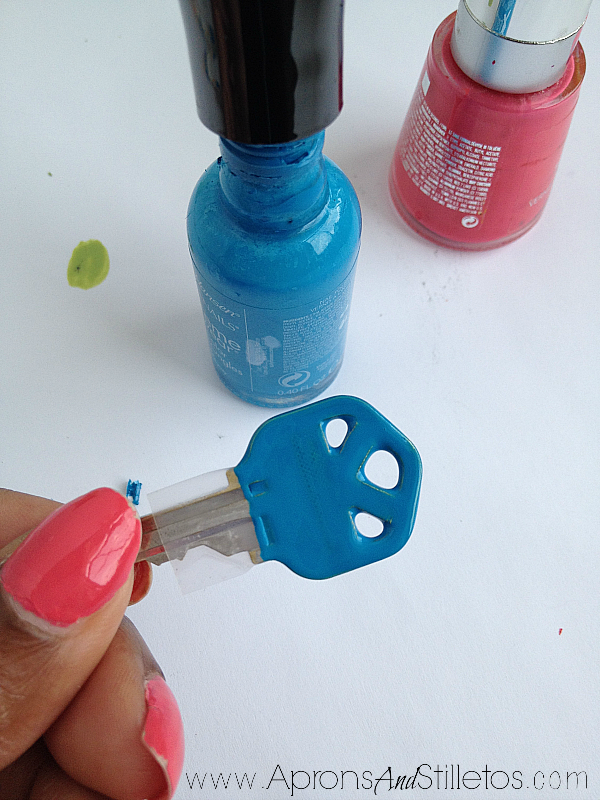 Next, tape off the section of the key where you want to paint. 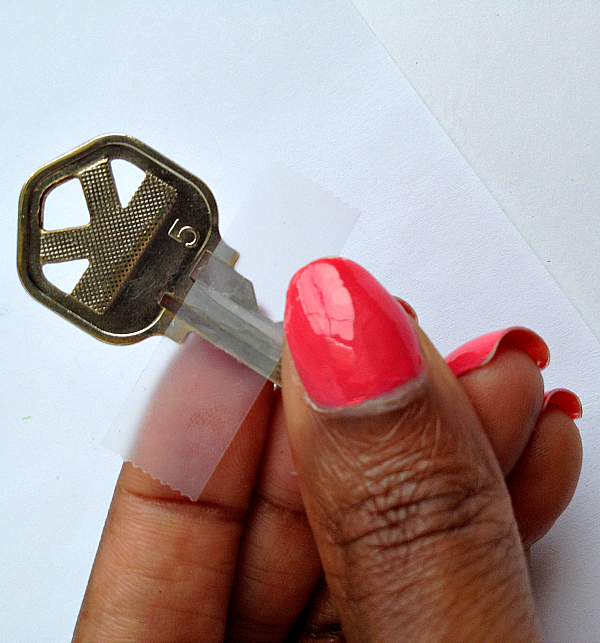 Make sure to extend the tape around the front and the back of your key. 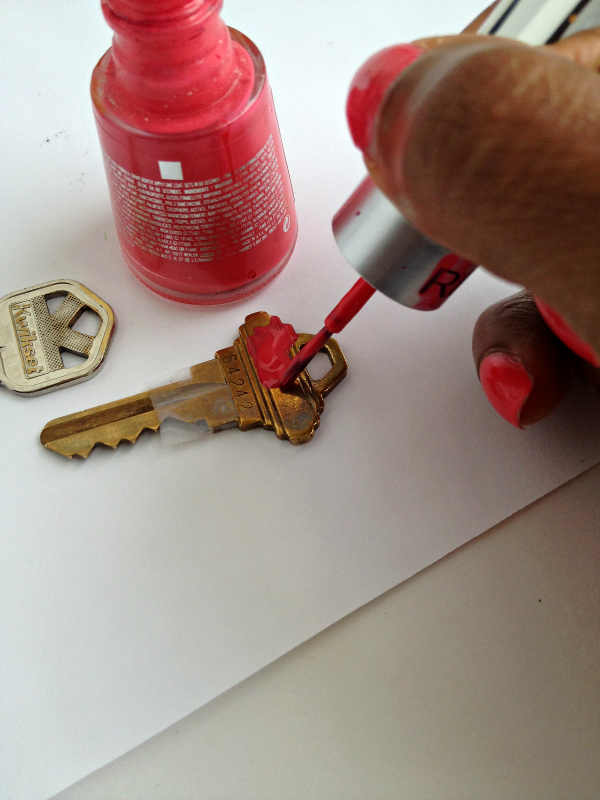 Now apply the first coat of paint to both sides of the key. Now, place your key on the bob pin. If you’re painting multiple keys, simply repeat the process. 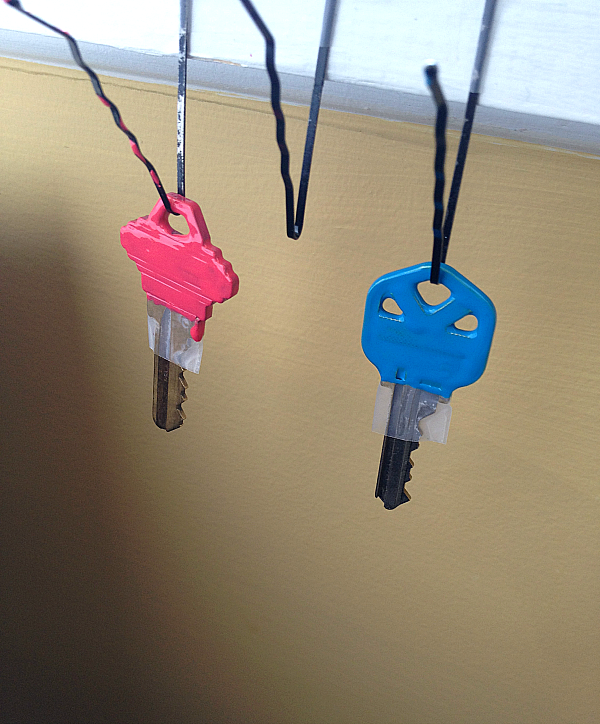 Once both keys were semi dry, I went back over them with a second coat of nail polish and allowed them to fully dry. I used a blow dryer set on ‘cool’ to speed up the drying process. 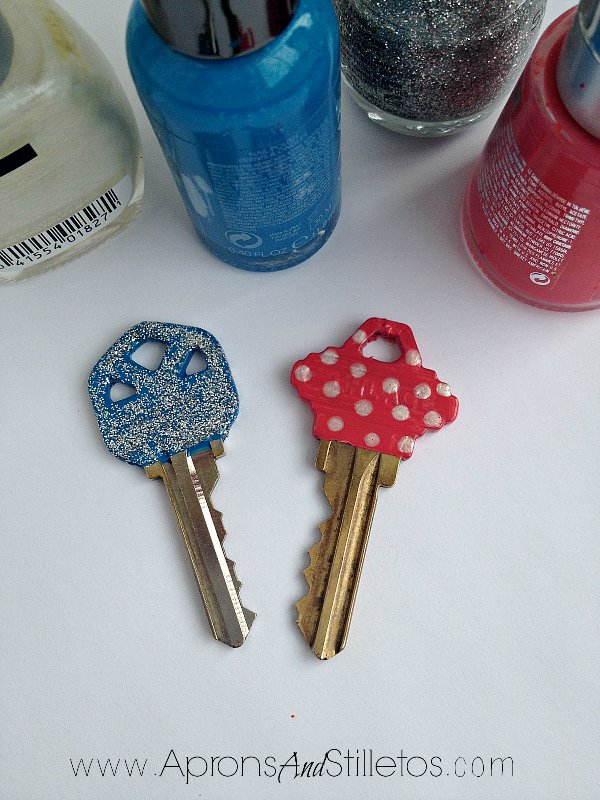 Once the second coat of nail polish was dry, I started to add designs to my keys. 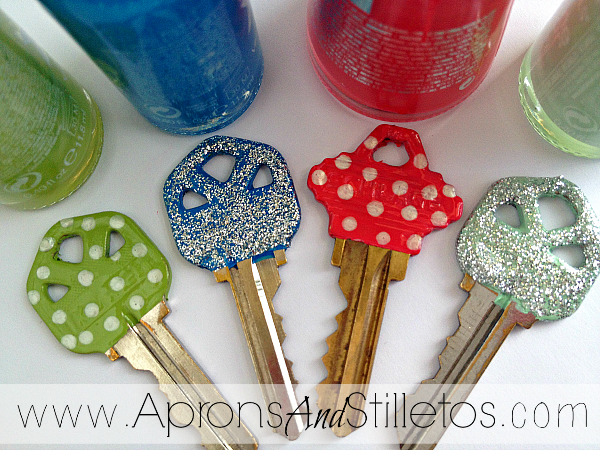 I used my dotting tool to add dots and I went over one of my keys with silver glitter nail polish. After the design layer of nail polish dried, I added a coat of clear nail polish. I created a different design for each of my keys and I just love the way they turned out. Love this idea! I’m going to do this! 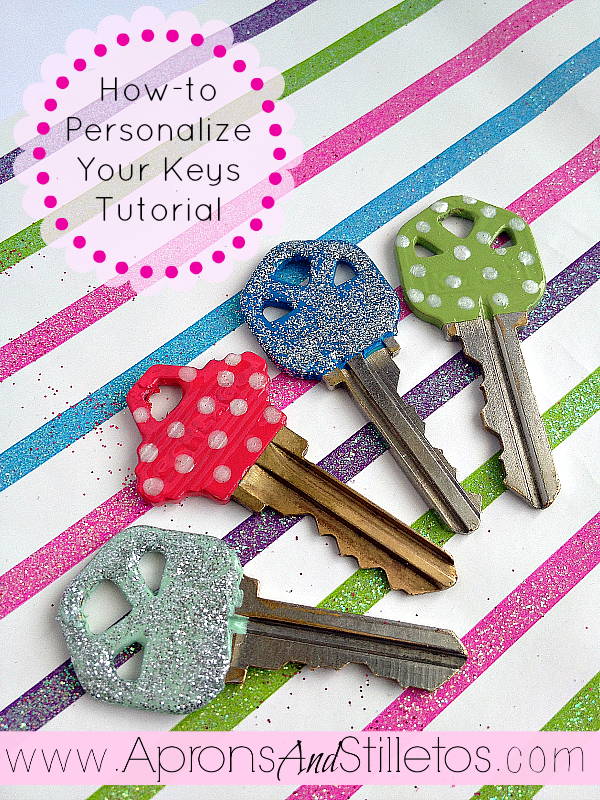 I have 4 keys and this will help me keep them organized.. can use for my son’s set of keys too! Great post! what did you use to make the dots? maybe most of you know but I am a knew crafter and have always gone to a salon. So please email me. thanks. This is so cute and creative! I've been meaning to do this FOREVER and never really got around to it. 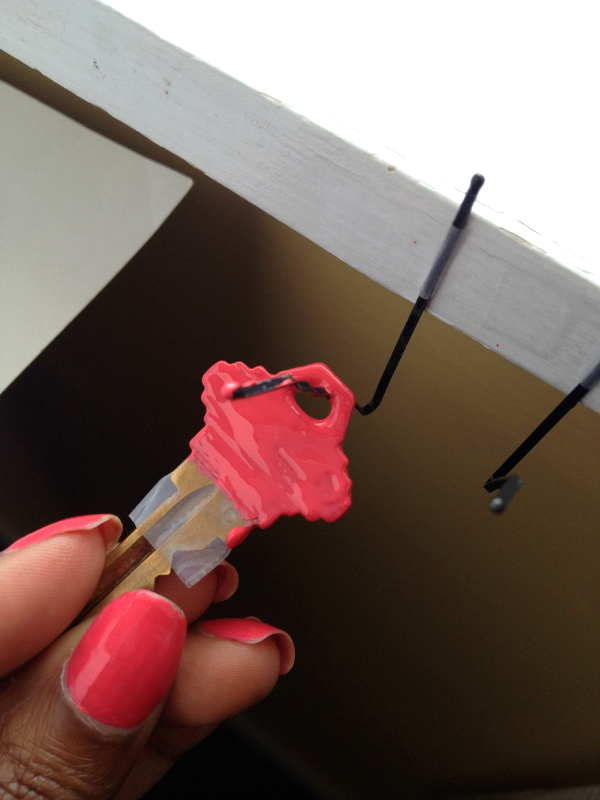 I love the idea of hanging the keys on a bobby pin and using nail polish to paint them.